SACRAMENTO, Calif. /California Newswire/ — Today, Calif. Governor Edmund G. Brown Jr. joined the region’s business leaders and workers to call for action on his plan to revamp the state’s economic development program and help put Californians back to work. “California’s thirty-year-old Enterprise Zone program is not enterprising, it’s wasteful. 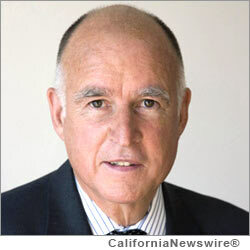 It’s inefficient and not giving taxpayers the biggest bang for their buck,” said Governor Brown. “There’s a better way and it will help encourage manufacturing in California,” he added. Studies on enterprise zones show that the current program, established nearly three decades ago, is ineffective, wasteful and expensive. Research from the Public Policy Institute of California indicates the program has no overall effect on job growth, while a recent California Budget Project report showed the program has cost California $4.8 billion since its inception and has primarily benefited less than half of 1 percent of the state’s corporations. The Governor’s economic development proposal enjoys broad support from businesses and workers alike, including: Northrop Grumman Corporation; IBM; Advanced Micro Devices Inc.; Bay Area Council; Bay Bio; Biocom; Bloom Energy; California Healthcare Institute; California Labor Federation; California Teamsters Public Affairs Council; Clorox; Genentech; Gordon Biersch Brewing Company; Intel; International Association of Machinists and Aerospace Workers; International Longshore and Warehouse Union; International Union of Operating Engineers; PhRMA; Silicon Valley Leadership Group; State Building & Construction Trades Council of California; Unite Here! ; United Food and Commercial Workers; Utility Workers Union of America; Webcor Builders and the Wine Institute. For a complete list of the dozens of supporters, click here (PDF): http://gov.ca.gov/docs/ED_Support.pdf . For an overview of the plan, click here (PDF): http://gov.ca.gov/docs/ED_Plan.pdf .